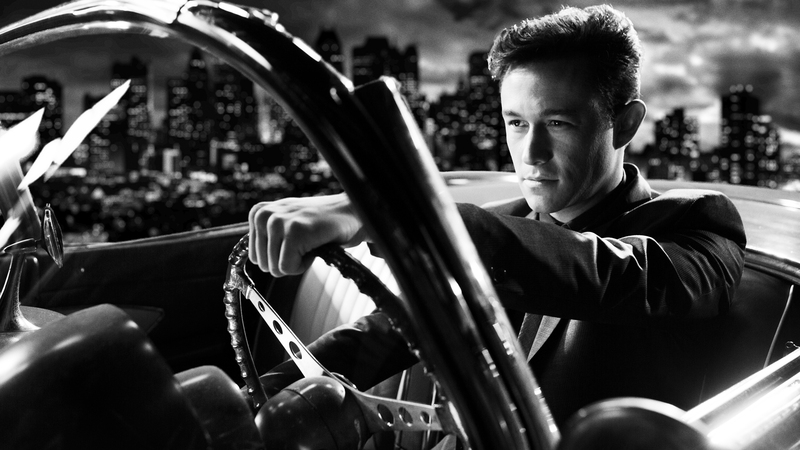 SIN CITY : A DAME TO KILL FOR - HIT OR MISS? Once again the public and the critic are not on the same page. Just have a look at the review aggregators: 45% on Rotten Tomatoes, 46% on Metacritic. Well, I don’t know for the public but I was still caught by the film. The visual were as stunning as in the first instalment and if the 3D remains essentially a gadget, it does not spoil the pleasure, on the contrary. Overall, the movie made me feel that I was reading the comic. It was like an animated - voiced over comic. The high contrast white and black pictures with patches of colours gave the desired graphic novel effect. What I found amazing was the balance they have manage to keep between the pure white and black and the highly detailed texture of the skin for example. If women beauty is magnified, male characters are not spared anything here. They tend to go to the monstrous side of the spectrum. The jazz music fits perfectly to the noir genre, the lazy sax sticks like an old trench coat on a drenched Sin City inhabitant. Certain scene were a bit long and the sad thing is that it is in Nancy’s arc, Jessica Alba part, whose character was the driving force of the first instalment, at least her innocence. But she lingers too long on her combo gun / bottle / show. Frank Miller still gave depth to the character and show the darkness rising under the perfect beauty. It marks a certain failure in the sacrifice of John Hartigan whose ghostly presence helps to bring depth in Nancy characters. It’s like Bruce Willis is taking back his role of Dr Malcolm Crowe in the 6th sense. Ava is like an enchantress she casts spell on men, you know, she can read men’s mind. And she can become what they want her to be. And with Dwight it is very interesting because there is a true connection. He is different from the other men. He is probably the only man that she could have ever loved, but she’s kind of caught up by her on demons. But there is a possibility of love with Dwight. Soon after he hit the jackpots thanks to the charm of his lady luck whom he take out for a night in town. Frank Miller: I just had time to draw a character and write a sentence that Robert was already shooting“.